I’ve made this spicy, sweet, smoky and tangy sauce a million times. It’s a snap to assemble and is the perfect component to serve with tofu, noodles and vegetables, which is a typical weeknight dinner for us. After I panfry the tofu and vegetables and boil the noodles, I’ll typically drizzle this sauce over everything at the end to nicely pull together all of the flavors and textures. However, since I made this dish, I really liked the viscous texture created by whisking in a bit of cornstarch slurry in at the end. 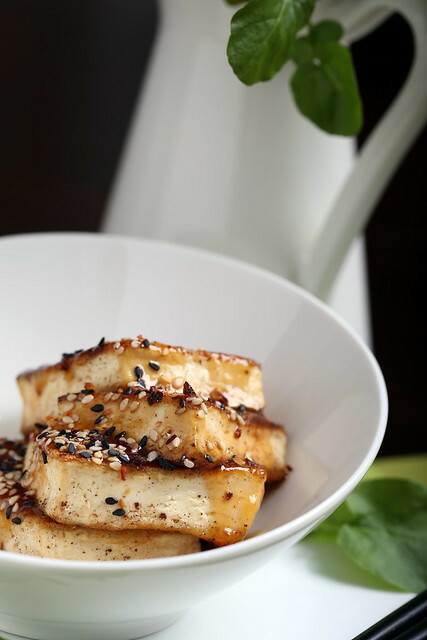 This simple step transforms the sauce into a more decadent and flavorful one, and is now my husband’s favorite sauce for tofu. Serve it with these noodles, and you’ll have the perfect go-to quick dinner in front of you in about 30 minutes. mmmm this looks perfect! i need to make this! looks great and uber-delicious!! while I know the oil used here is minimal, we're trying to avoid oils as much as possible … any suggestions for getting a comparable result without the oil? maybe saute in veg broth? oven-bake? Thanks! Sesame oil is pretty important here for the flavor. I would suggest just leaving it out if you must. I've never sauteed in broth before, but I suspect you won't get a caramelization by subbing that for oil. So perhaps baking is your best bet here — good luck! Always looking for ways to flavor tofu! Thanks! This looks and sounds delicious! 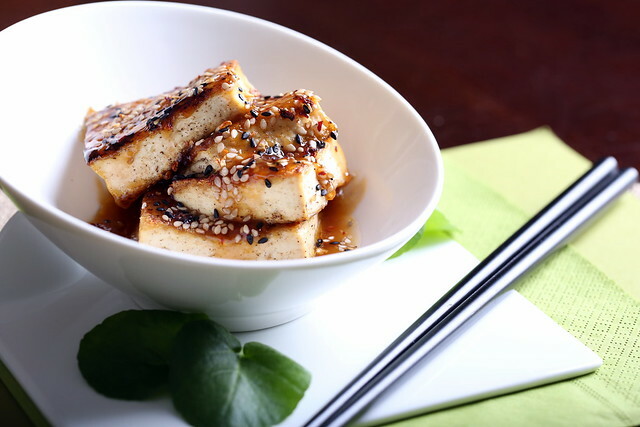 I haven't had tofu in far too long–time to remedy that! I have made this two times now since you posted it. DELICIOUS! Do you need to press the water ouf of the tofu before you saute it? No, that's not necessary for this application. I've updated the directions to include that! This is REALLY good! The tofu got nice and puffy…crisp on the outside and very chewing/puffy inside. I did press the tofu for about 20 min in the fancy tofu press you can buy online just because I prefer mine that way. But don't let not wanting to press tofu stop you from making this! Made this tonight, with a side of snow peas. Really good, great job! I made this for my fiancé and we both LOVED it. My favorite tofu sauce ever. It it so good! so happy you enjoyed, Analicia! So delicious and really easy to make. Covering the tofu was a great tip!